In the heart of Coffee Creek, is this beautiful, well maintained 3/2 home on .48 acres. Green, lush landscaping, towering trees, mountain views and minutes to Trinity River, Lake and local swimming hole. Spacious living and dining rooms with French doors to the covered patio,, country kitchen, large master bedroom with walk-n closet and master bath. Upstairs are 2 bedrooms, one with a deck and the second full bath and abundant storage. Dual pane windows and fresh interior and exterior paint, 2 garages - attached garage has skylights, work benches, shelving and a bonus room. Detached garage/RV parking is wired, room for boat, toys and tools. Ride on mower, snow blower and generator included. Fenced garden area for veggies and flower beds with beautiful flowers and lawns. Water company fee is $450.00/year, unlimited. 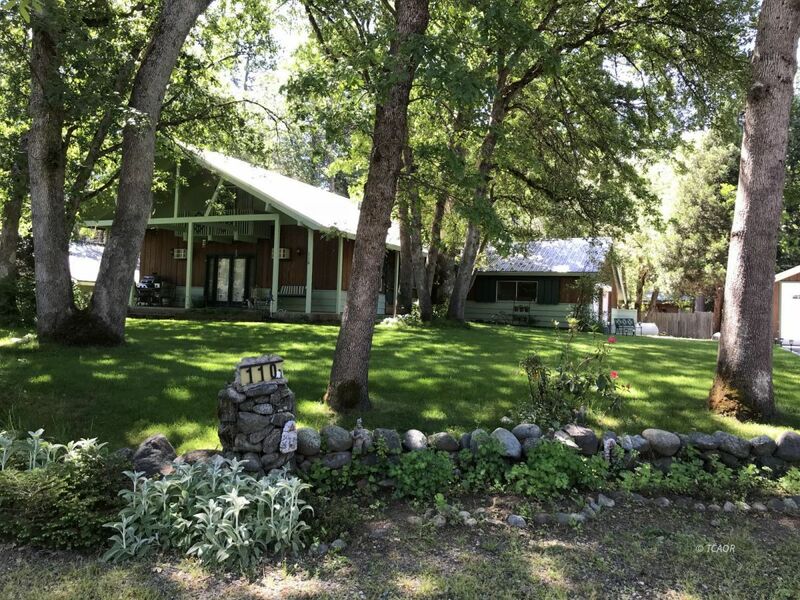 This is the whole package - beautiful home, landscaping, mountain views, paved roads and all in the Trinity Alps Recreation Area - boating, fishing, hunting, hiking, ATV and horse trails, snow fun in winter. MOVE RIGHT IN AND START ENJOYING MOUNTAIN LIVING. MOTIVATED SELLER!